Sipho Pro Dludlu began his writing career in the Phendukani Dancing Pencils Writing Club in Newcastle. * A fascination for story writing led him to writing a play which did very well. He then selected his University courses to fit his love of writing. * As a motivational speaker and producer, he is grateful to the Dancing Pencils Writing Club in Newcastle which first showed him his talents and published him in their annual anthology. In 2007 I joined Legacy Music and Entertainment which was then based in Johannesburg and Pretoria, working as the talent & artist’s manager. I helped to encouraged artists unlimited creativity in composition and performance. 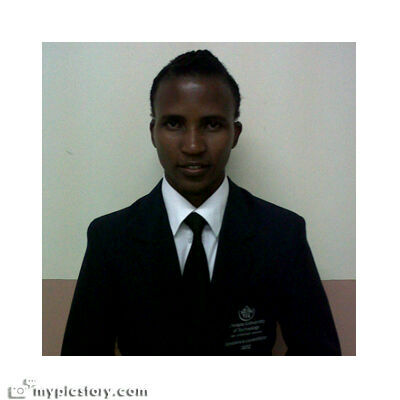 I then became a planning committee member which started Unisa Radio (Ufm-Radio) in Pretoria. Working as the Public Relations Officer and a Programmes Manager on a radio show called ‘The Inspired’. On a daily basis had to creatively come up with topics, cover stories and interview questions for guests. * In 2008 I helped start Unisa’s first Comsa Student Newsletter called “The Clear Cut”, I was also a contributory writer and sub editor for it. * In 2009 I worked as a student teacher because I love working with the youth and helping to inspire, teach and motivate them. During this year I started a drama & cultural music group which won the 2009 Endumeni Schools Drama & Music Competition. This is a farm school near Dundee in a farm called Ethangeni. * During 2009-2010 I also started being a freelance journalist for Dundee Community Newspapers, one in English called Northen The Courier and a vernacular one called Iqhawe News. “One does not practice during a championship battle but practice at the gym or training center for the championship.” Phendukani Dancing Pencils served as a training centre for me through the mentorship we received from our book/writers club. * in 2011 I decided to go back to school in order to refine my passion of working with people and being a professional motivational speaker and writer, I joined Tshwane University of Technology (TUT) in Pretoria Soshanguve Campus doing a Diploma in Public Relations Management. * Year 2012 represented the year to which I started a Mentorship Program with our Department which is sub-divided into Academic & Career Mentorship as well as Peer Buddy Mentorship. In this program we assist learners on how to study, write and approach questions and academic content, in this we also include peer counseling. * I am currently running my own motivation blog where different writers can write and share their poems, stories and inspirational or motivational content. The blog is: http://motivationwithpro.wordpress.com , my Twitter Account: @Prodludlu and Facebook: Sipho Pro Dludlu. I use the social media on a daily basis to inspire and motivate all my followers through writing. * I work as a professional motivational speaker since 2009 having had represented the KZN Department of Education for motivating Matriculatants during 2010, 2011 worked with different religious, youth and educational institutions around Pretoria. NB: I am currently busy writing my first Inspirational Book which I will communicate with Felicity for publishing once its complete.